Mobile market research is a revolutionary means of collecting business information and consumer insights. Quicker and more affordable than conventional methods, companies are looking to mobile research to gain greater control of their operations, marketing, and business partnerships as well as to gain deeper insight into their customers. This revolution is powered by mobile technology and crowdsourcing. Below are 5 basic question-and-answers about mobile technology and crowdsourcing, to better equip you for this new era of market research. Simply put, crowdsourcing gathers information by harnessing a crowd. 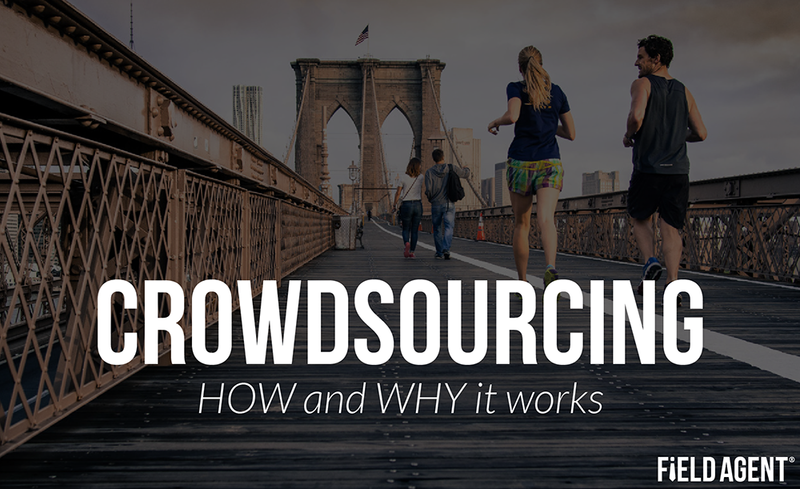 The word "crowdsourcing" is a combination of the words "crowd" and "outsourcing," and is a means of outsourcing work or tasks to a large group of people. The principle behind crowdsourcing is simple: many hands make the workload lighter, and jobs take less time. Crowdsourcing works by splitting a task into sections and assigning each piece throughout a crowd to quickly accomplish a set of goals. By distributing multiple tasks to a large crowd, there is less work for each participant. Individuals, groups, and companies are able to achieve quality outcomes, in a fraction of the time. Everyone wins. 3. Why combine crowdsourcing with mobile technology? Imagine a company has a great new product. This product was launched through 10 different retailers, in 2,000 stores across the nation. It would be nearly impossible, not to mention cost-prohibitive, for one person to see inside every one of these stores...or would it? Utilizing mobile technology + crowdsourcing, any business can quickly and affordably obtain audio, videos, pictures, and data from any location across the US. From suppliers to surveys, and restaurants to retailers, combining mobile technology with crowdsourcing can help you retrieve the quality information you need, at a fraction of the cost. 4. Can I trust the information? Yes, if you use the right platform. For example, Field Agent has a Quality Control team which reviews every single submission that passes through the app. With the help of our team of researchers, Field Agent can ensure you ask the right questions, so you receive the precise answers you need. 5. Where does Field Agent come in? Field Agent harnesses the power of crowdsourcing and mobile technology through a free mobile app. Our network of more than 600,000 Agents earn cash collecting the information you requested and according to the specifications you require. In doing this, Field Agent is able to collect almost ANY information, at nearly ANY location. Joshua Cox is a part of the Client Services team at Field Agent, a mobile research company that crowdsources a pool of more than 600,000 Agents to perform audits and collect market intelligence.